The second edition of ADRENALINE is set to change everything.. again. oh yeh.. AND A GLOWING STAGE THAT TRANSFORMS WITH THE MOTHERF#%KING MUSIC. New heroes will emerge. Balance will be restored. 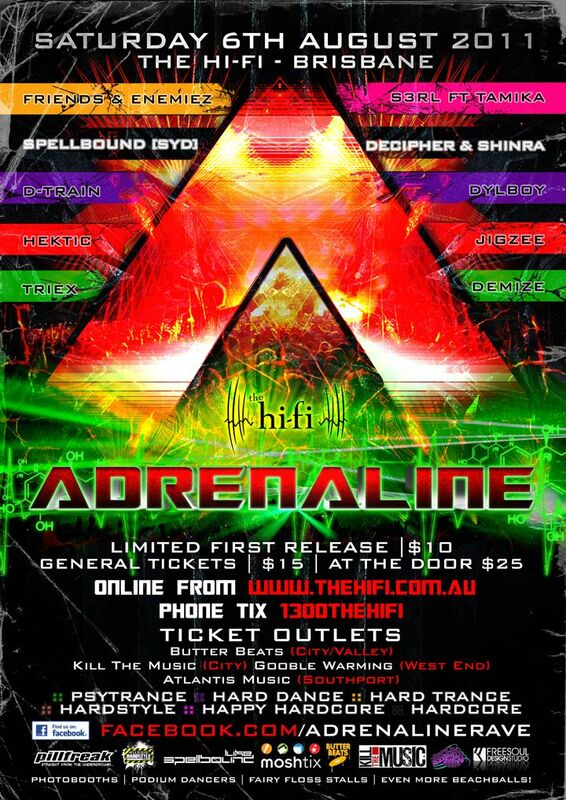 ADRENALINE WILL RISE AGAIN - Saturday 6th August 2011. Yeah, I know this is tomorrow night.. Just thought I'd post it anyway!